Ready to lighten up your home? Let the spring breeze take over by mingling beautiful textures of geometry and plants in all your spaces. 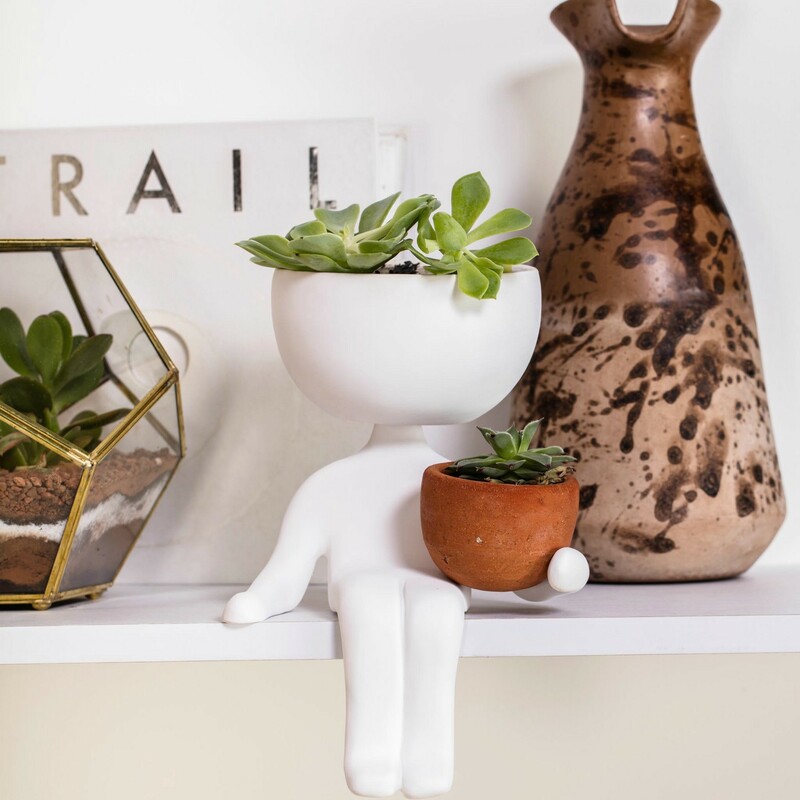 Small planters can help you create a strong connection with nature, especially when access to plants is not immediate, like in the case of an apartment. The perfect combination of aesthetics, function, and liveliness comes by choosing plants that are easy to maintain and planters that don’t overpower your decoration. For 2017, white small planters have become the trend for indoor natural decor and it’s easy to see why; white gives a fresh airy look to your room while plants add a touch of life that gives that cozy home sensation. White is a classic and elegant basic. Investing in small white planter or pot will allow you to achieve a minimalistic look. Raise your planter with a white metallic base or a stool that complements the surroundings; this will make your planter look more elegant and it will naturally catch the eye. Because your planter will be raised, choose a plant that is airy and allows light to travel through. Aloe, Diffenbachia, and Peace Lilys are great options; they’re not toxic to humans or pets and are easy to maintain. 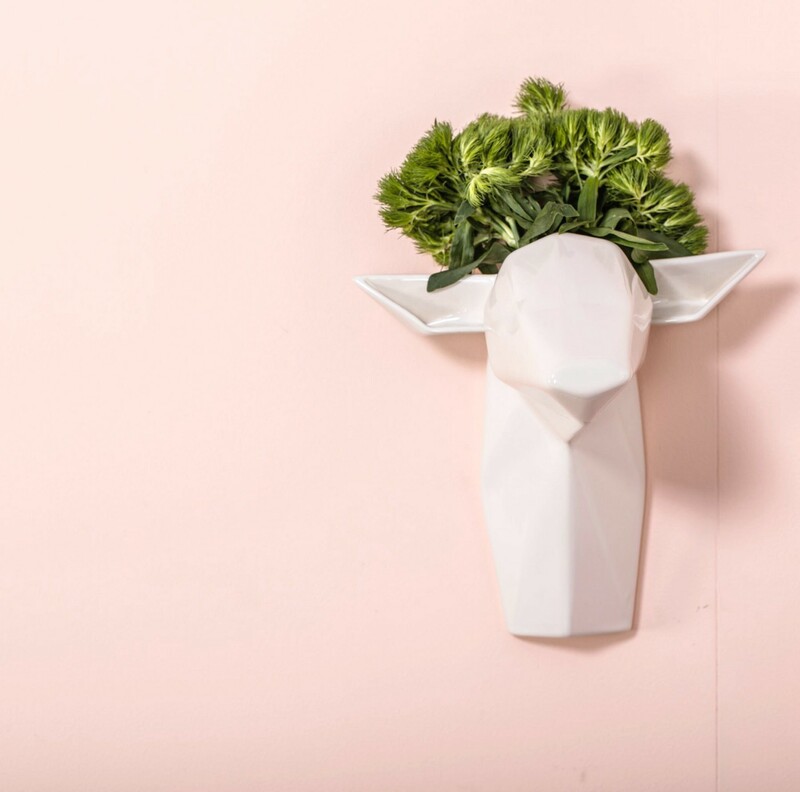 Wall planters are ideal where space is limited or only small touches of color are needed. They’re also a great option if you have pets or young kids running around the house. As a rule of thumb, wall planters should be used for plants that don’t create moisture, require little watering and need dim to no light. Great examples of these types of plants are Succulents and Snake Plants. 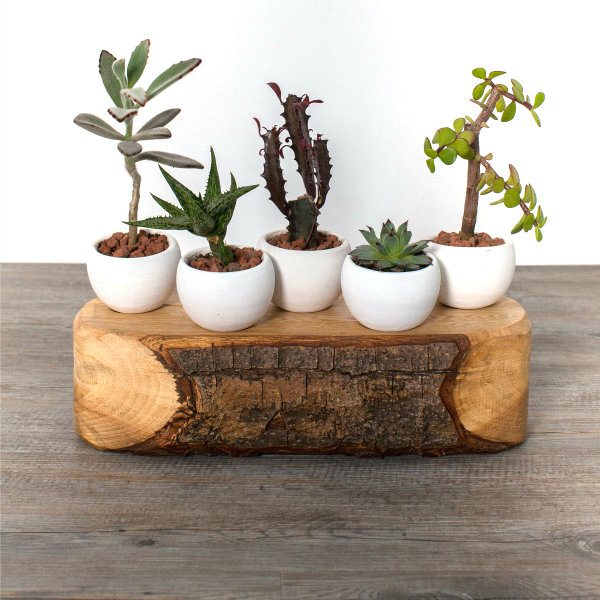 The ideal match for a countertop or centerpiece are small white planters with a wooden base. 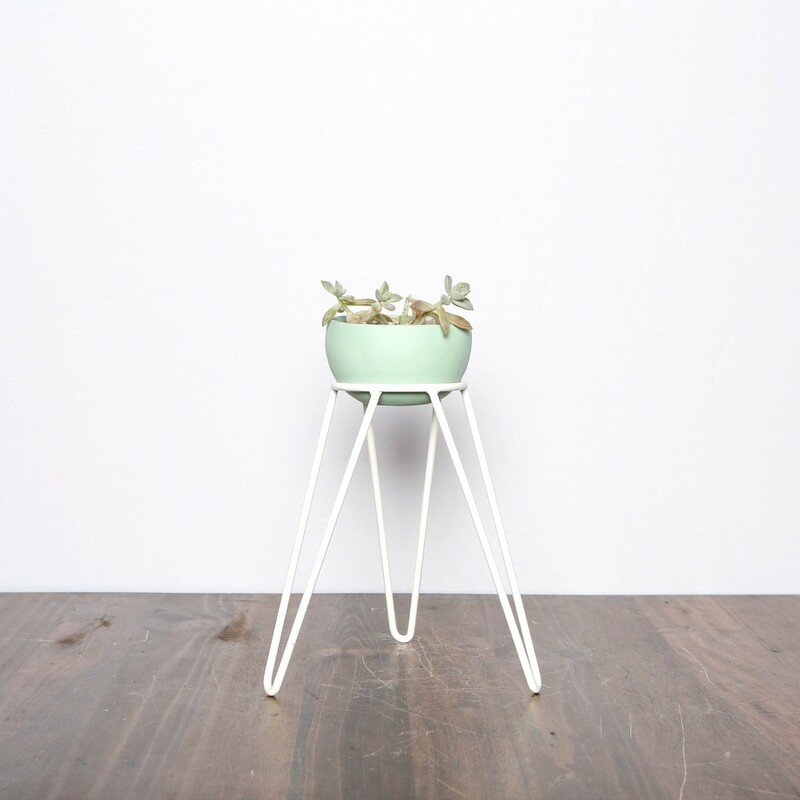 The base gives simple planters the extra character needed to be the point of focus on a plain surface. Low height plants like Succulents and Cacti are recommended for this type of decoration. Our all time favorite! Shelve planters can completely change the vibe of a room while playing along with other decorations. The perfect shelve or nightstand planter will add character so favor geometric or odd shapes that catch the eye. Succulents are the go-to plants for shelve planters as they are very easy to maintain but you also choose to go a little more dramatic with an English Ivy. Finally, remember plants are live and follow nature’s cycles. Some plants will release pollen at certain times of the year, so don’t forget to research for allergens when choosing the perfect plant/planter combination. Some plants look great but might end up pushing you away from a space you love. Share with us your ideas on how to incorporate plants in your life, and for great ideas on how to add small white planters to your space, follow our Instagram account!